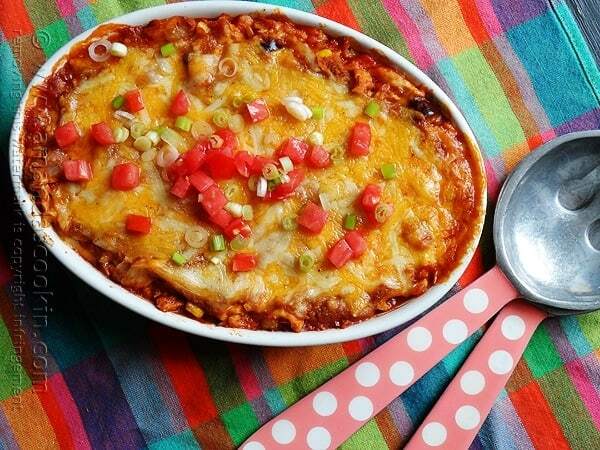 If you are looking for a fabulously satisfying dinner, one you could even put together ahead of time, then this Mexican inspired casserole is for you! Truly delicious and full of great flavor, this is a weeknight meal your entire family will love! Turns out, my family revealed to me that one of their favorite meals are my chicken enchiladas. 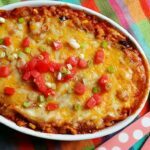 So I thought I would take that another step and make a casserole for those busy weeknights, especially with my youngest playing football and my husband working over an hour away from home. Sometimes we eat kind of late these days, so it’s best to have something you can make ahead and pop in the oven later. First of all, I have an important note about my photos. 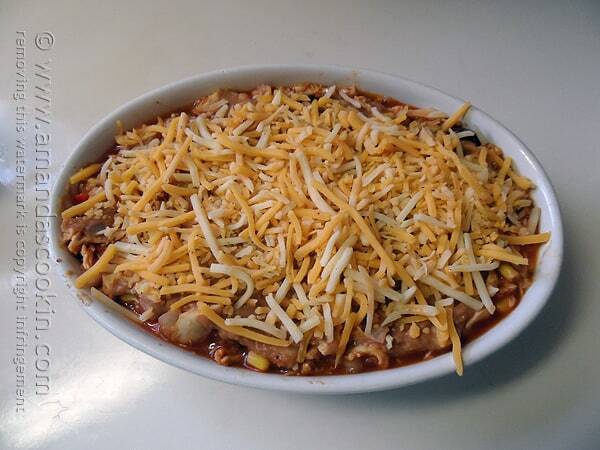 These photos show a smaller casserole than is described in the recipe. I halved the ingredients to make a smaller portion. This recipe as printed here is family size and will feed approximately 6 people, pictured will feed 3-4. This is similar to assembling a lasagna as the ingredients are layered. 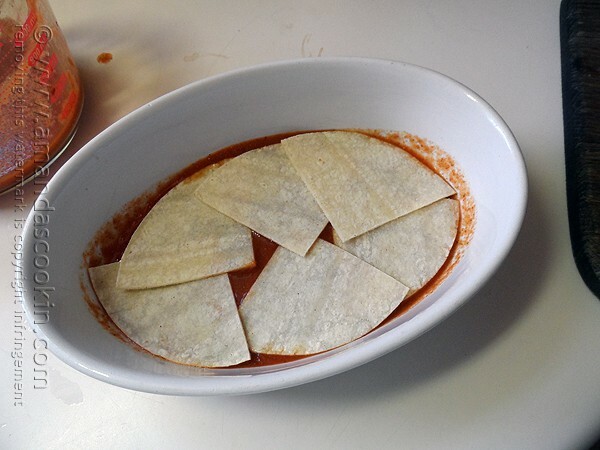 Start with enchilada sauce (I use my homemade enchilada sauce, but canned works fine too) then add tortillas. Next, add the chicken mixture (as described in printable recipe below). Now layer on the refried beans. Next add the cheese. Now repeat all the layers again. 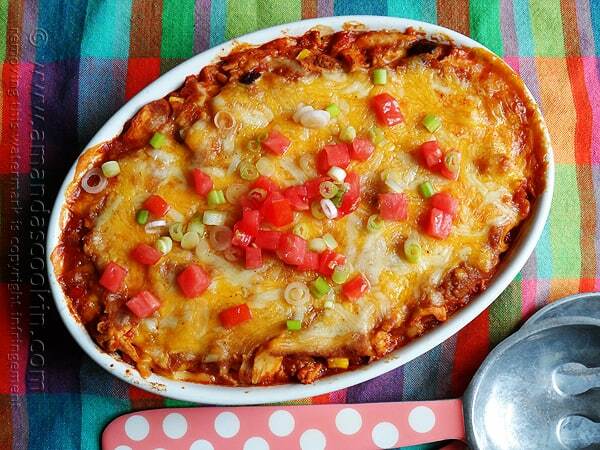 Place the casserole on a cookie sheet and bake 30-40 minutes. It’ll be good and bubbly when it’s done. To make it all pretty like, garnish with some sliced green onions and chopped tomatoes. Yum! Let me know if you try it! 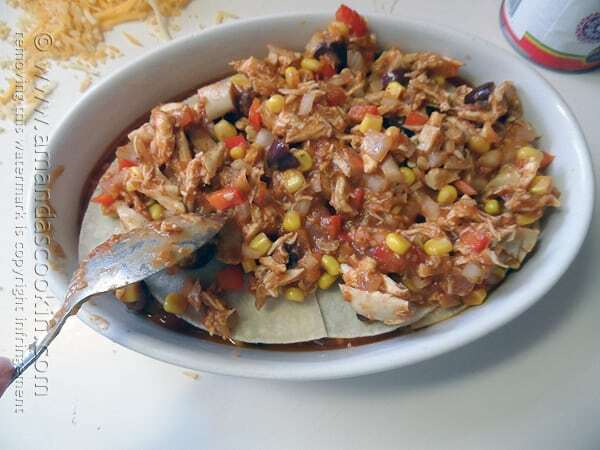 In a large bowl, combine chicken, 1 can of the enchilada sauce, onion, garlic, red bell pepper, corn and olives. Stir to coat and combine. If chicken was from leftover and in the refrigerator, heat mixture in the microwave for a couple of minutes to take the chill off the meat. Bake in preheated oven for 30-40 minutes. Dish will be bubbly and cheese melted. Remove from oven and garnish with sliced green onions and chopped tomatoes. How far in advance can I make this? And would that increase the cooking time if it’s been in the fridge for a while? Thanks! I would say a day or two at most. You shouldn’t have to increase the cooking time as long sa the oven was allowed to completely preheat. 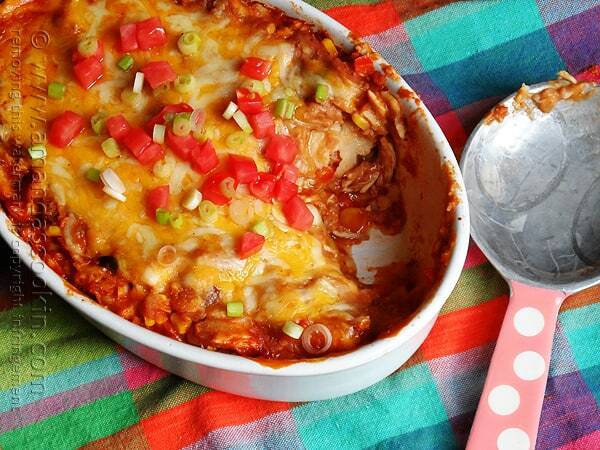 This casserole is delicious, easy and I love that you can make it ahead. 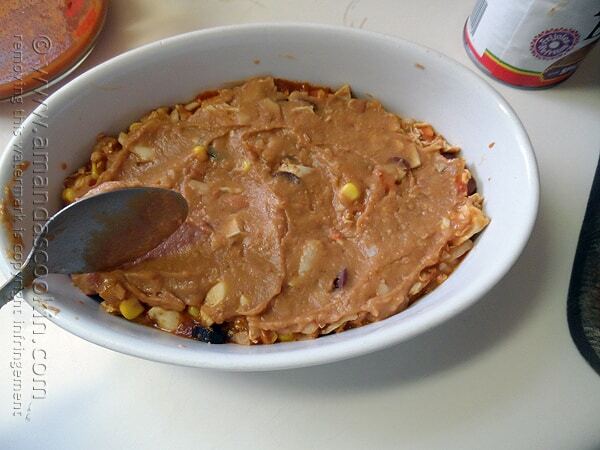 Instead of refried beans, I used some overcooked beans that ended up in the crockpot much longer than I intended. They worked well without changing the texture and cut down on the salt, which is my preference. I served it with diced tomatoes and shredded lettuce and wish I had the green onions. This goes into my meal rotation as a favorite, thanks for posting! So glad you guys enjoyed it Kat, thank you! My husband LOVED this. He is a finicky eater but he went back for a THIRD helping. 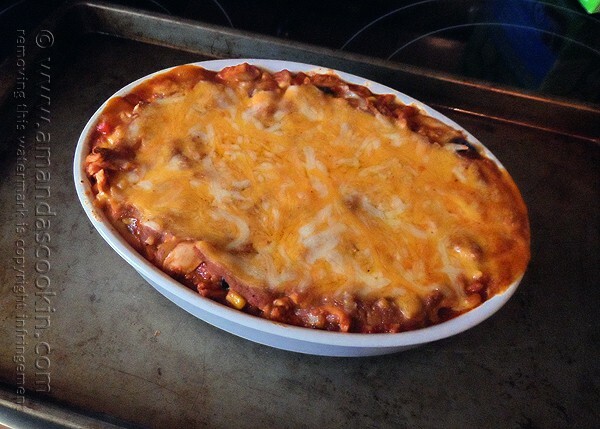 I did adapt it a bit since I am on a gluten free and lactose diet…I will be making this again. I used DIAYA shredded cheddar cheese which is dairy free. They also have a Mexican blend cheese. Oh my this looks amazing! A one pot yummy Mexican dish delish! Yum can’t wait to try! Thanks Nicole! It’s really delicious, hope you like it! LOVE make ahead meal ideas like this. Anything Mexican is always a win around our place! This is a fabulous weeknight meal! 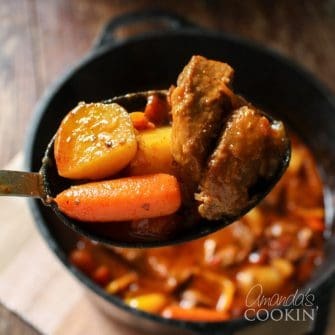 I love that it goes together as a casserole so it can be whipped up faster! Hand me a big spoon so I can dive right into this! yum. Okay, this just sounds AMAZING. I will try it as soon as possible!! Thanks Dora, I hope you like it! I can never get enough of your recipes!!! This one is calling our name, so I’m putting it on the menu for this week! Ole’!! Could you use beef instead of chicken? My husband does not like chicken. I love warm, filling one-dish meals like this! So easy to prep yet so satisfying. This is a meal my family would love.